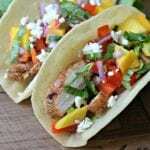 Inside: Learn how to make these delicious, fresh jerk chicken tacos, which are ideal for any time of year. 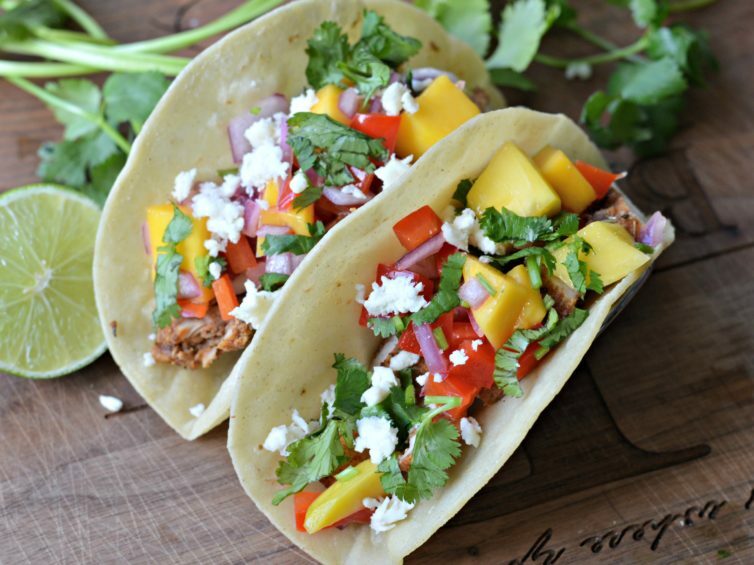 The mango salsa makes them even more amazing and a must-try! If you have been following me for a while, then you probably know that savory food is my favorite. In Mexico, children learn at a young age to add lime, salt, and chile powder to all types of fruits and even on candy. That is one reason that combining the flavors of meat with fruit is something I can’t resist. These jerk chicken tacos are perfect as the weather starts to warm up. The mango salsa that goes on the tacos makes them truly unique. You will start by marinating the chicken for a few hours, and then cooking them on a grill to bring out the amazing flavors. 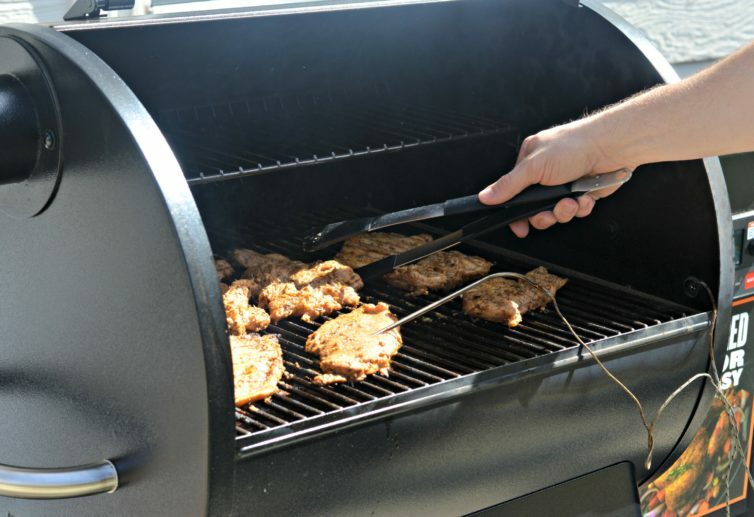 We used our brand new Traeger Pro 575 wood pellet smoker, and it added a delicious smoky flavor. A little while back a new restaurant specializing in tacos was opened near where we live. It is very popular and it is almost always busy when we go. 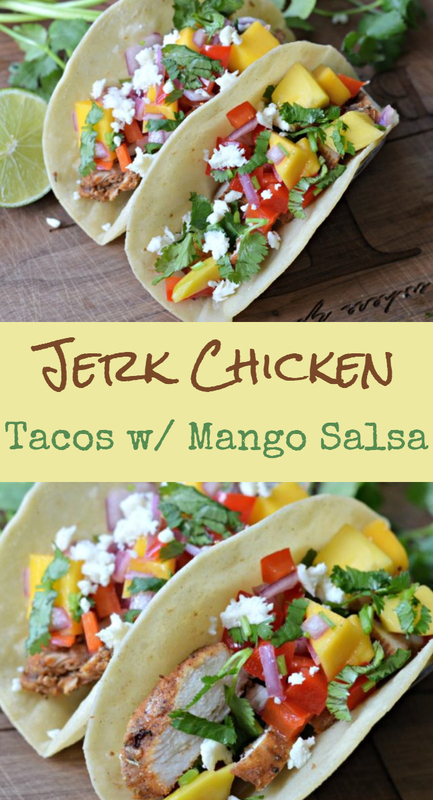 They have many different flavors, but one of my favorites includes jerk chicken and mango salsa. That was the inspiration for the jerk chicken tacos recipe that I am sharing today. Jerk chicken is a cooking style originating in Jamaica. The style consists of marinating any type of meat (in this case, chicken) in a variety of spices that tend to be spicy. Some of the spices that can be used are sweet as well, such as cinnamon and nutmeg, which combine perfectly with the other spices for some delicious flavors. The spiciness comes from a combination of cayenne pepper, black pepper, and smoked paprika. The secret to making a delicious jerk chicken is to let it marinate for hours. That is why it is important to plan in advance and even marinate overnight if possible. The taco place I mentioned above is so popular and my husband used to go multiple times a week for lunch! That is why I decided to try to make them here at home, and my husband said they tasted just as good as the ones at the restaurant. I am excited for all of you to try it as well. Let me know in the comments below how it turns out! 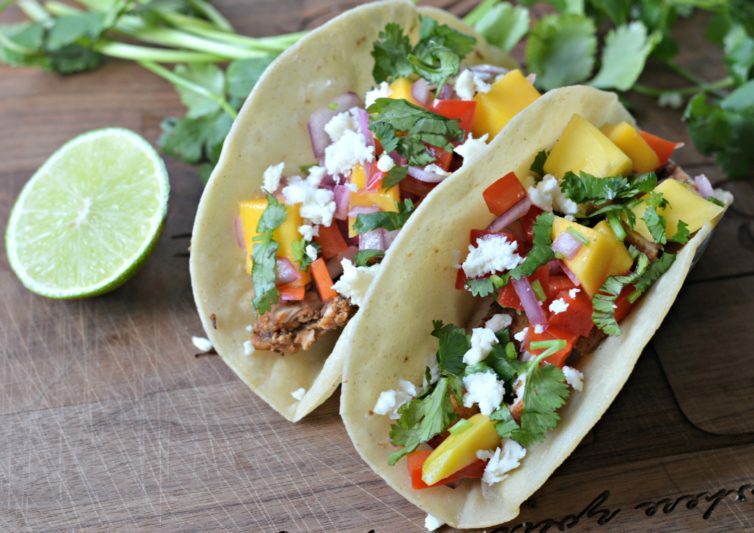 These delicious Jerk Chicken Tacos with mango salsa are easy to make and delicious. Start by cutting slicing the chicken breasts in half (butterfly style) so that you have thin filets. Combine all of the marinade ingredients in a large bowl and add the chicken. Mix well until the chicken is fully coated in the marinade. Remove the chicken with the marinade to a resealable plastic bag and let marinate in the refrigerator overnight or for at least three hours. Preheat your grill and then add the chicken, cooking on each side for about 5-10 minutes, or until it reaches an internal temperature of about 165 degrees. Remove from the grill and let rest for approximately 5-10 additional minutes before cutting into smaller pieces. 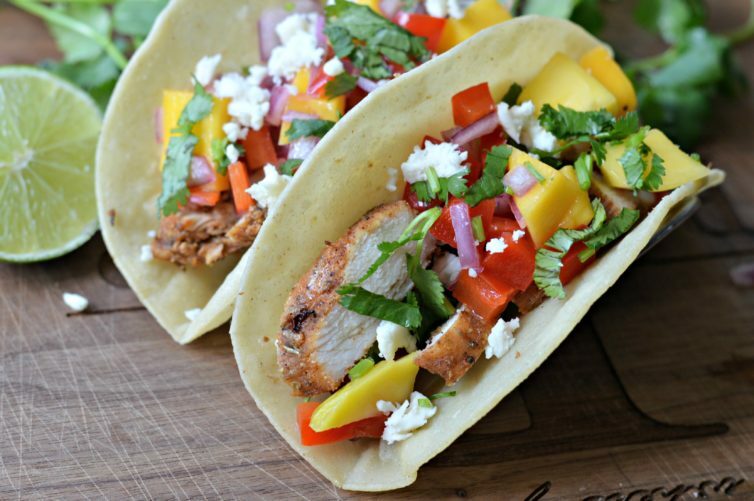 Serve as tacos by adding the chicken to the tortillas and topping with cheese, mango salsa, and sour cream.